Iran craftsmanship is as old as its ancient history and is, in fact, the spiritual heritage of this province. In addition to domestic reputation, it also spoke internationally and exported. Iran Handicrafts are carpet weaving, imitation leather, clay, pearl and weaving, and most importantly, pottery and ceramics of Laljin. 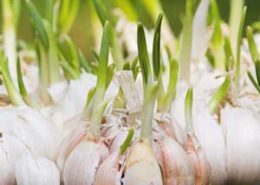 Garlic Iran is among the consumers of this product, and Iran is one of the main producers and exporters of the product of fresh garlic, white garlic, dry garlic throughout the world, and Iran is one of the producers of this product. This country is known for its worldwide production of garlic. Iran Curd is one of the substitutes of milk that is traditionally used to boil, condense or dry the dough which remains after the dough or fat-free yogurt. The primary ingredient in Kastak is milk lamb, goat, cow or a mixture of them. Iran Curd with its small volume, is a miraculous food. Iran potato is a one-year-old plant that we use from the tubers in its root. Its earliest origin was in South America and was first brought to Iran by Mirza Malekm Khan, originally referred to as “Plum Malcolm”, the most important ingredient in potato starch. Pickled Cucumber Iran are a salty meal. To prepare salty cucumbers, put cucumbers in a saline, vinegar or similar solution, such as lactic acid. Like other tropical plants, the cucumber also has a low calorie content. The cucumber has enough vitamin K.
In general, herbs are any herb that is used as a food, flavor, medication, or felicitous for being sweet or delicious. Cooking uses herbs to spice herbs. Vegetables refer to green leaves or plant parts. Iran is one of the regions where the best walnut is planted and harvested in Iran walnut is in the category of dried fruits and delicious. The type of weather that grows in walnuts has a great impact on the taste and quality of this product. Raisin Iran is the first export commodity in Iran province, which has the highest number among all export goods. Raisins have a very popular dish and have many benefits that you will definitely love. Dried Fruit Iran in any condition, and the fruit is good for you and it has benefits. In normal condition, dried fruit can be a good snack for the loss of hunger and can be kept for a long time. Because humans are a part of nature, it is definitely for each disease that the nature of the herbs has been treated. The closer the person is to nature, the healthier and the longer he lives. 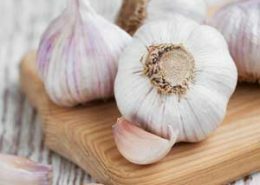 Why should you fast the garlic? http://www.en.sinagostartom.com/wp-content/uploads/2017/11/garlic-30.jpg 300 300 sinagostartom http://www.en.sinagostartom.com/wp-content/uploads/2018/05/logo-sinagostar.png sinagostartom2017-11-30 13:16:072017-11-30 11:42:21Why should you fast the garlic? 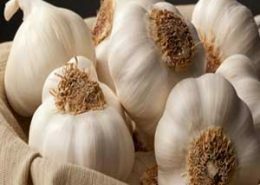 Who gets the most from eating garlic? 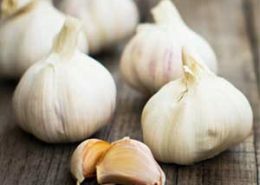 http://www.en.sinagostartom.com/wp-content/uploads/2017/11/garlic-attribute.jpg 300 300 sinagostartom http://www.en.sinagostartom.com/wp-content/uploads/2018/05/logo-sinagostar.png sinagostartom2017-11-30 12:49:302017-11-30 11:43:24Who gets the most from eating garlic?